Plot Synopsis (from GR): Sixteen-year-old Nathan lives in a cage: beaten, shackled, trained to kill. In a modern-day England where two warring factions of witches live amongst humans, Nathan is an abomination, the illegitimate son of the world's most terrifying and violent witch, Marcus. Nathan's only hope for survival is to escape his captors, track down Marcus, and receive the three gifts that will bring him into his own magical powers—before it's too late. But how can Nathan find his father when there is no one safe to trust, not even family, not even the girl he loves? My thoughts: I didn't know what to expect from this - I literally walked into the bookstore and asked the retail assistant for a book recommendation (weirdly enough, she turned out to be a friend of a friend and we got to talk a little at a feminist gathering our mutual friend was hosting, it was great). I um'd and ah'd over it before deciding to purchase it. 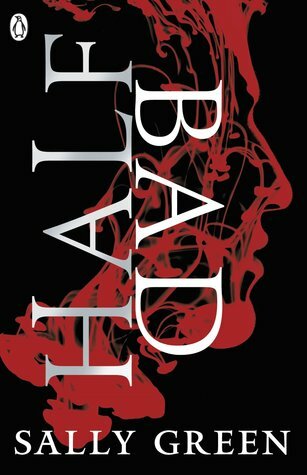 If I had to sum it up in a sentence - Half Bad is basically nature vs. nurture with witches conducting the experiment. It took me a little while to get into it - the beginning of the story is told in a kind-of non-linear fashion, going from present day to Nathan's childhood and then back to present day - but once I did, I thought it was a fast-paced, gruesome, saddening story. Unfortunately, I didn't love it as much as I thought I would. When we first meet Nathan, he is living in a cage. Yes, you read that right: a cage. And as you learn more of his story, you become more and more convinced that the universe has pooed on this guy from a great height (I mean, yes, his father is a murderer but a child should not be forced to pay for the sins of the father). What Nathan faces - especially because he has to deal with these things from a young age - is horrifying and brutal, and I think that is why I couldn't love Half Bad like I wanted to. I see parallels between how Black witches are treated by White witches and how PoC are treated by white people. I don't know if Green intentionally set out to tell this kind of story, or if she was inspired by it, or if it happened incidentally. What made it more intense was that the narration flips between first and second person, so at times I felt like I was in Nathan's head, experiencing what he was experiencing. It was such a strange reading experience. These scenes are just throw-away scenes put in the book for the sake of torture and mistreatment, these moments help to define Nathan - who he is as a person, and what he is capable of. The second half of the book is where the build-up for the rest of the trilogy starts to happen, so the pace slows down quite a bit. It's also where the violence more or less stops, which is a relief, because if I had to read any more about Nathan being cut up or shackled, I think I would've had to stop reading. However, given the first half of the book, I found the ending to be quite anti-climactic. Another problem is that because the first half is spent characterising Nathan, and the second half if spent setting up the rest of the trilogy... the story doesn't really go anywhere. It's not really a novel where things happen, if that makes sense. Nevertheless, Green's writing is good - the time spent devoted to characterising Nathan and his mistreatment at the hands of the Council (and White witches in general) means that the witch lore is detailed, highly complex, and interesting - not to mention original. There's kind of an old-school, eerie feel to the setting - I don't know if it's because it's spread across England, Scotland and Wales and I just kind of... associate that feel to these countries. Would I recommend Half Bad? ... I don't know. My opinion seems to be unpopular within the GR community. I will say this: It's a story that's about a young boy learning how to survive in a world that is anything but kind, and definitely one that you should read for yourself.